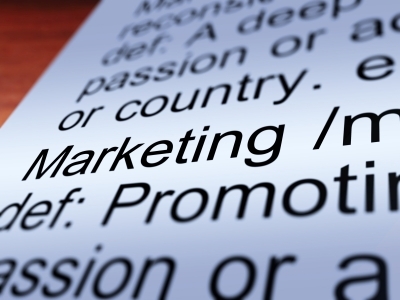 What is marketing? If you think this is an easy question to answer, or that there even is one answer or simple definition you might be surprised. You ask enough people the meaning of marketing, and the answers you get range from advertising, promotion, and even selling. This is surprising, especially given the fact marketing is such an important business function. What is the reason for this confusion? The biggest reason businesses and marketers sometimes lack a clear understanding of marketing is some of the definitions that are out there. To put it simply, they aren’t simple enough. Marketing is all about strategy and planning, both of which are crucial to the success of any business or product. Developing better strategies and planning are more easily achievable when you have a clearer understanding of what you are working with. A simpler definition to help you become a better marketer. The best way to understand marketing or become a better marketer might be to start at the beginning with a definition that is not only simpler, but also enables you to take full advantage of all the strategies at your disposal. Marketing is the process of using a tactic or set of tactics to bring together product and customer. This definition is hopefully clear and to the point, but lets take it a little further and breakdown some of its key elements. Set of tactics – This is one of the most important components to understanding not only this definition but marketing as well. There are numerous tactics or strategies that individually or together make up the concept of marketing. These tactics might include price reductions, sales promotions, email marketing, and advertising. Although there are numerous different tactics or strategies that are used to market a product, the use of any one of them individually or together is considered marketing. This is because they all serve the same purpose of reaching and acquiring more customers. In fact a marketing tactic does not always have to be as obvious as an advertisement on a banner, or on the radio. You can market your product in ways that might not even be perceived as being marketing by the consumer that is being marketed to. What are some not so obvious examples of marketing strategies? One such example is training employees so they are better able to answer questions, help customers, and provide a better service. After all happy and helpful employees will probably mean happy customers, which in turn will mean more business. Another example is a partnership with another business that can help both businesses improve their business process and lead to more sales. Yet another example is building, expanding, or revitalizing such things as a downtown, waterfront, or airport. A real world example of this is the expansion of the convention center here in San Diego. The city is already a major convention and conference city, but by expanding the convention center (the city’s product) the city hopes to bring in more conventions (customers who will bring dollars to the city). As you can see this marketing strategy by the city of San Diego, wouldn’t be considered advertising in the general sense, but never the less its goal is to bring more conventions to the city, so its considered marketing. The second most important component of our definition is the bringing together of your product or service and the customer. When you market something you are trying to get a target audience to take some sort of action (buy, subscribe, attend) or achieve a desired result from the customer. Remember marketing involves the use of certain tactics such as changes to your product or service, in the hope that use of that tactic will satisfy the consumer. Behind the use of any marketing tactic or strategy is the goal it will bring customers. After all, you are not just marketing to a wall or with empty goals. You want your marketing efforts to bring your product or service to the customer or vice versa. It is as if you and your product or service and the customer are standing on opposite sides of a room and your marketing is supposed to bring the two together. You can use different marketing tactics to bridge the gap between the two. It doesn’t matter if one of the two has to move a greater distance or if they zigzag to one another. The important thing is they meet at a happy medium. For example you might decide to speak out loud to the potential customer to relay some of the benefits of your product, which would be kind of like a radio ad. You might even decide to hold up a sign with some sort of deal to entice the customer to walk over to your side of the room (like a banner ad). Maybe the customer doesn’t seem interested, and you notice him/her headed for the window. You decide to make your way to the window as well, and as a result your strategy of always wanting to be where the customer is brings the two of you together. What types of things can you market? The next important component in our definition is product. Even though we use the word product in the definition, you can substitute various other words in its place. We used the word primarily for simplicity, and because its probably the word most people associate with marketing. A product is not the only thing you can market however. There are many other things you can market such as a service, cause, place, event, and even yourself. Using our two other components we know that marketing anything such as a product, service, or cause is using a tactic of your choosing to bring that which you are marketing to the customer. The last component of importance in our definition is “customer”. Similar to the word “product” we used this word also for simplicity and association. Like with the word product, you can also substitute other words such as consumer, audience, and target market in place of the word customer. It is also important to not limit yourself by thinking of marketing in terms of a single word. What you want to remember is the customer is your target market. This is who you are marketing your product, service, or cause to. You should have your target market, or audience defined as much as possible. You want to build on important aspects such as their needs and habits. The better you are able to determine exactly who your target market or customer is, the better chance you will have of bringing them and your product together. If you were unclear with any part of marketing before, did you find this definition and the examples helpful? Was it simple and easy to understand? Do you think of marketing in a different way? How do you develop your marketing strategies?